A man has been detained by French police investigating the disappearance of a nine-year-old girl at a wedding party in the eastern region of Isère early on Sunday, reports say. The 34-year-old was a wedding guest, the Dauphiné Libéré newspaper quoted a prosecutor as saying. He had previously given an inconsistent account of his whereabouts. 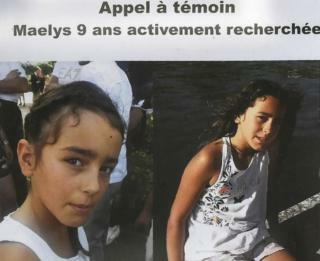 Maëlys de Araujo was last seen at 03:00 (01:00 GMT) in a children's area at a hall in Pont-de-Beauvoisin. The detained man had left the wedding "at a time that could correspond to Maëlys's disappearance", Bourgoin-Jallieu posecutor Dietlind Baudoin said in a statement quoted by the Dauphiné Libéré. The arrest was made following interviews with many of the other wedding guests, Ms Baudoin said. The man was known to police and his home was being searched, BFMTV reported. Maëlys had gone to the wedding with her parents and elder sister as well as other members of her family. The DJ raised the alarm when she was reported missing and the 180 guests tried to find her before police were called and a search began. Local police, search and rescue teams, divers and cavers have been searching the heavily-wooded area but have so far failed to find a trace of her. Sniffer dogs lost the scent from Maëlys's cuddly toy in a car park outside the wedding venue, AFP reported, suggesting that she could have been taken away by car. Police have interviewed wedding guests as well as people who were attending two other events nearby. The search was continuing in driving rain on Thursday but a policeman told French TV that the prospect of finding anything was becoming less and less likely.